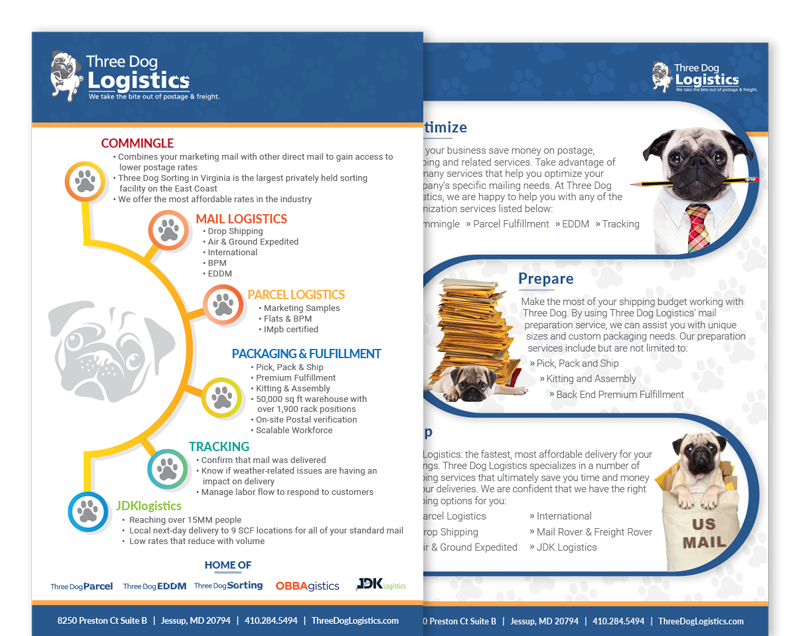 Three Dog Logistics is among the areas premier service and logistic providers for companies with complicated print and parcel fulfillment needs. 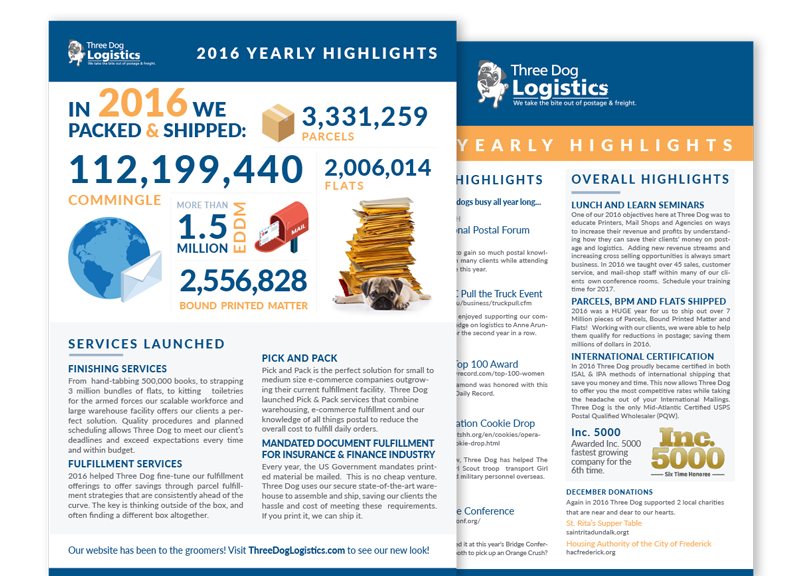 The team is comprised of industry experts who have solved basically every shipping challenge you could ever imagine. However, that presented a challenge of it's own in consolidating all of the very nuanced and specific logistics services into a understandable and communicable manner. Our first challenge was creating a blueprint that was able to accommodate all of functionality necessary to communicate the various service areas. Having reviewed all of the components of the business, we were able to reshape the organization of content and messaging to create a stronger foundation. It made building into messaging more natural to progress from general to specific while helping both advanced and entry customers follow along and find what they needed. The stylization of the content provided a more polished look to the organization of content, providing appropriate delineation from various content elements such as headings, subtitles, and calls-to-action. Zest provided professional copy writing and editing to tie it all together. The finished product provided optimization for reading, searching internally, and being located externally through search engines due to optimization. Like all of our websites, the finished product was built from a vision that considered all viewpoints from the start. 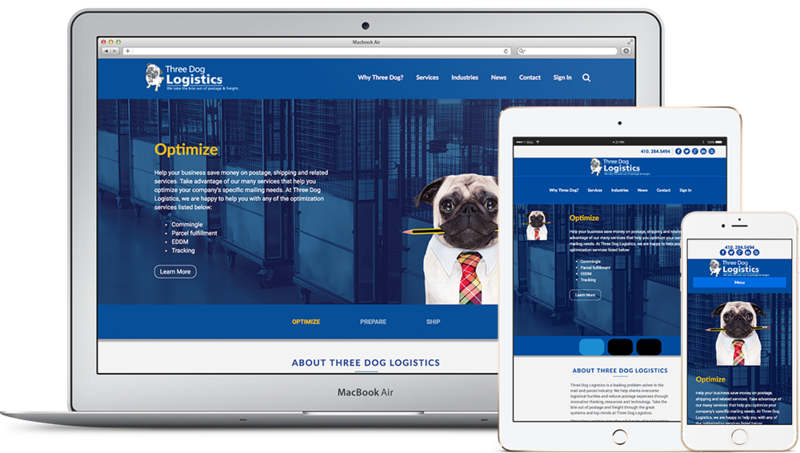 The design is fully responsive, and tailored to accommodate the most important message organization regardless of the device or browser of the user. 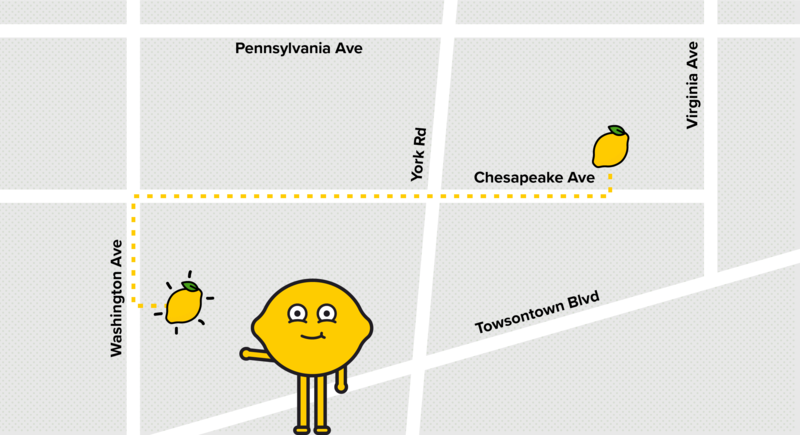 Zest continued to support the client post-launch, providing content marketing support through copywriting, blogging, public relations and social media. The efforts supported the sales team in reaching prospects and customers with relevant information and also improved positioning for competitive terminology within search engines. Zest continued to build out the identity kit of our client through an assortment of advertising collateral to be used at tradeshows and through mailers. 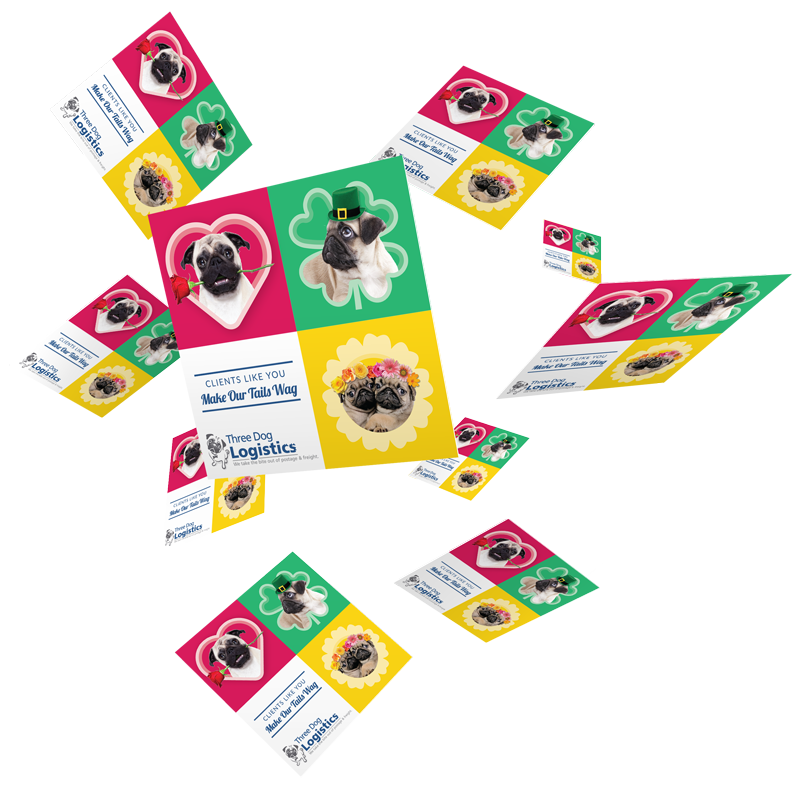 The use of explainer pieces is far reaching, so content design and style was kept evergreen but structured to be able to afford specific industries and segments tailored information that is most relevant to them. These pieces helped to build confidence within the sales team in providing information about the industry to interested parties.